Malaysia's Prime Minister Najib Razak (C) speaks as ministers Idris Jala (R) and Paul Low Seng Kuan (L) listen during a press conference at the premiers' office in Putrajaya on August 14, 2015. Malaysia's premier called on August 14 for greater transparency in political funding, drawing immediate ridicule from critics who attacked his failure to explain massive transfers to his own bank accounts. KUALA LUMPUR - Malaysia's attorney-general has formed a new task force to investigate state fund 1MDB but it excludes the country's anti-corruption body, local newspaper Sin Chew Daily reported on Friday. The task force comprises the central bank, attorney-general's chambers, police, customs department and the Inland Revenue Board, the newspaper said, citing Mohd Shukri Abdul, deputy chief commissioner of the Malaysian Anti-Corruption Commission (MACC). Shukri told the newspaper in an interview that the MACC will continue its own investigation into 1MDB, and its absence from the new task force was "not a problem". Representatives from the attorney-general's office and the MACC declined to comment. The central bank could not be immediately reached for comment. The Wall Street Journal reported in July that investigators looking into allegations of graft and financial mismanagement in 1MDB found that nearly US$700 million was deposited into Prime Minister Najib Razak's private bank account. Reuters has not verified the report. The MACC has since verified that it was a donation from the Middle East. It said on Aug. 3 that it would ask Najib to explain why the donation was deposited into his private account. Najib, who chairs the advisory board for 1MDB, has maintained that he did not take any money for personal gain. A former task force probing into 1MDB had included the MACC, but was disbanded after the attorney-general said it was no longer necessary, the MACC said previously. 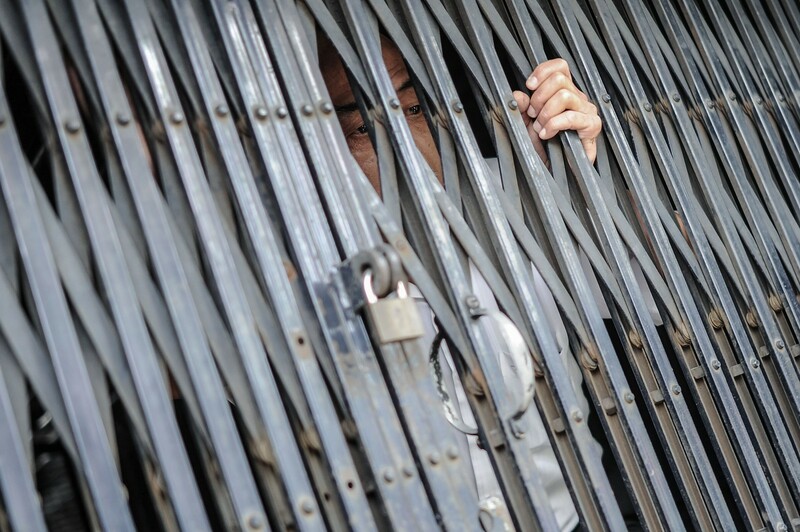 A protestor looks out from a police truck after he was detained by Malaysian police during a protest against Malaysia's Prime Minister Najib Razak in Kuala Lumpur on August 1, 2015. Najib on July 28 sacked his deputy premier and attorney general in a cabinet reshuffle widely seen as an attempt to strengthen his hold on power as he battles corruption allegations. 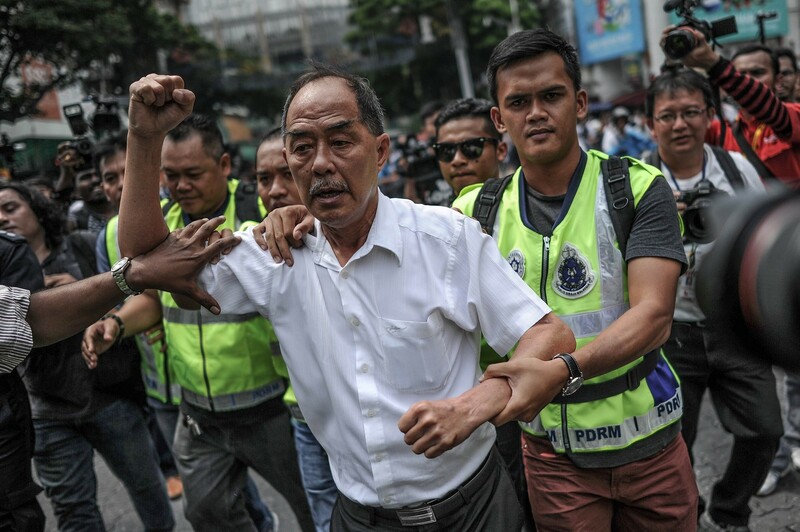 A demonstrator makes a fist after being detained during a protest against Malaysian Prime Minister Najib Razak in Kuala Lumpur, Malaysia, August 1, 2015. 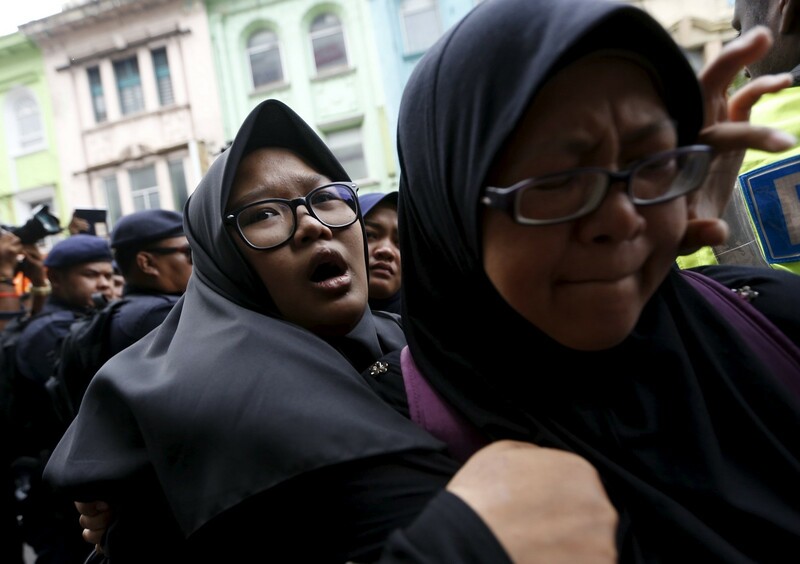 Over 20 protesters were arrested after calling for Najib to resign, local media reported. 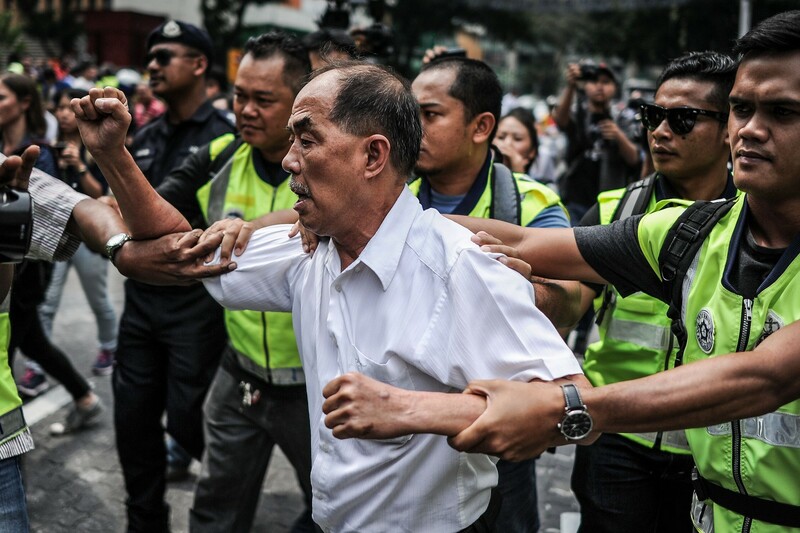 PKR's Teja assemblyman Chang Lih Kang and Simpang Pulai assemblyman Tan Kar Hing were detained at about 2.20pm when people were starting to crowd outside the complex for the #TangkapNajib rally. 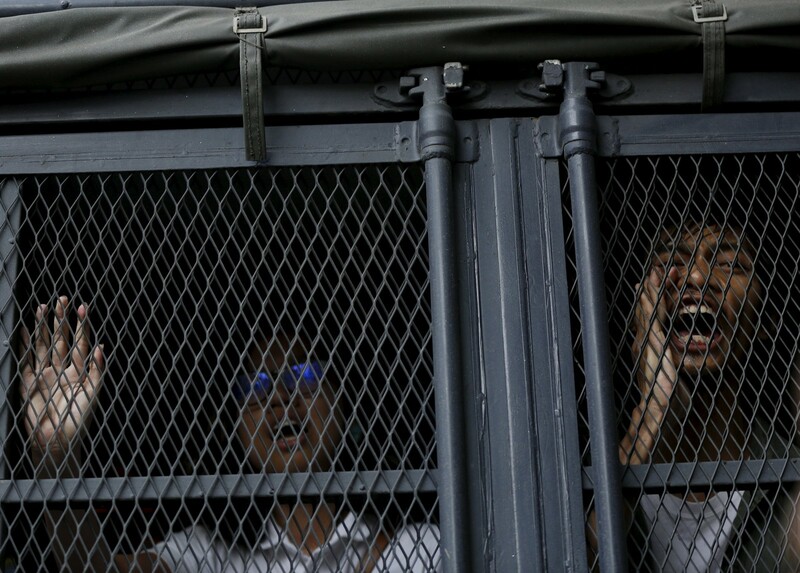 Two separate explosions, believed to have been caused by firecrackers, were heard after the duo were nabbed - setting off a series of arrests of protesters. 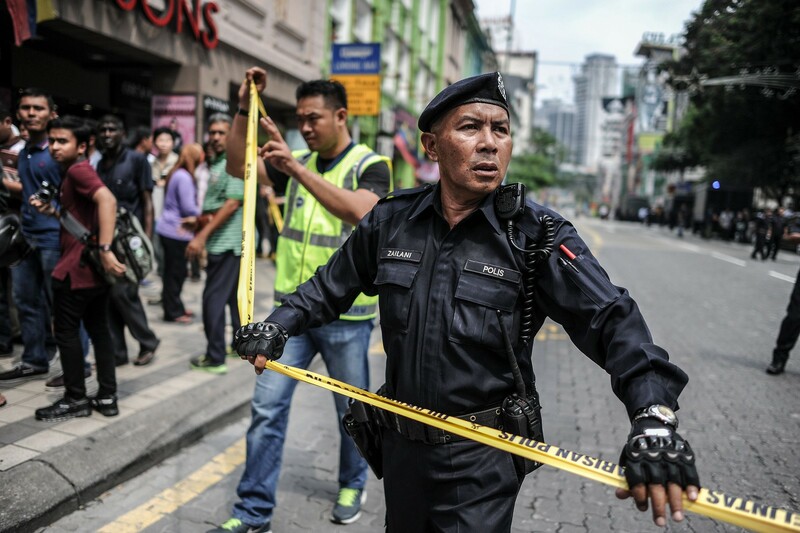 Several shops on Jalan Tuanku Abdul Rahman, including Sogo, had also closed their doors due to the commotion. Shoppers at Sogo were temporarily locked in. Police then cordoned off the area outside the complex at about 3pm, asking the public as well as pressmen, to disperse and leave the area.